According to Rossi at this time he must work hard to get back to the track racing as soon as possible. Valentino Rossi, At MotoGP San Marino Valentino Rossi, cannot perform. As it is known, the Yamaha Movistar racer was injured due to a motocross accident. Even this tragedy made him to be absent for the two important races this season. Rossi had to lose a lot of points and seemed to be burying his desire to win the 2017 world championship. Of course there is deep sorrow for Rossi. Even the racer nicknamed The Doctor had time to reveal that his mental pain for throwing away the opportunity to win the 2017 MotoGP world title because injury is worse than the pain he experienced due to broken legs. "Broken legs are painful, but generally I feel good. But much worse is the mental state, because it is very embarrassing, throw a chance to become champion, and miss racing at Misano, in front of all the grand prix fans in my house, "he said, quoted by KompasOtomotif from Motorsport.com some time ago. Rossi expressed must apologize to his team for not being able to race. According to him at this time he must work hard to get back to the track racing as soon as possible. It took 40 days for Rossi to recover. That means he passed two series. It's just that the Italian rider was not too sure when he came back to compete. He set a target could return to the track in October at Motegi Circuit. "I learn from time to time, which in this phase, you must be able to live from day to day. We've worked hard, we try to get back as soon as possible. The next race after Misano is Aragon, but I think it will be very difficult because it's only 22 days after surgery, "explained Rossi. In an interview, Rossi told how the accident that made his right leg broken. The 38-year-old rider initially went to practice endure with his friends and Academy racers. He said it was always done since he was 18 years old. "I've done this even 200 times," he said, quoted from Otomania. Unfortunately, the accident happened to Rossi when the training session will be over. At the derivative on the hill, as it enters the second gear, Rossi stands on a rocky foundation. "When I landed, the handlebars move like a tire stepping on a rock. I lowered my right leg, there was a jolt, and by that time my foot was holding the weight with the motor behind it. My leg broke. I am just 400 meters from the finish line, "explained Rossi. As a result of Rossi immediately addressed the medical and brought to the hospital. Yamaha rider was directly operated in less than 24 hours to cure his injury. 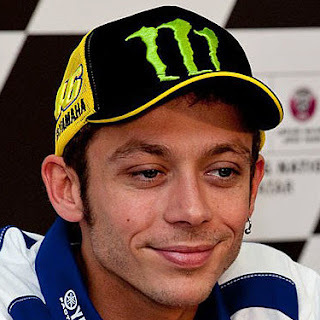 Valentino Rossi hopes to get well soon and get back to the track racing. According to him at this time he must work hard to get back to the track racing as soon as possible.